New Scalextric track C8212, 350mm standard straight barriers and clips. This item consists of 4 pieces; 1 barrier piece and 3 clip pieces. Suitable for the standard straight Scalextric track. 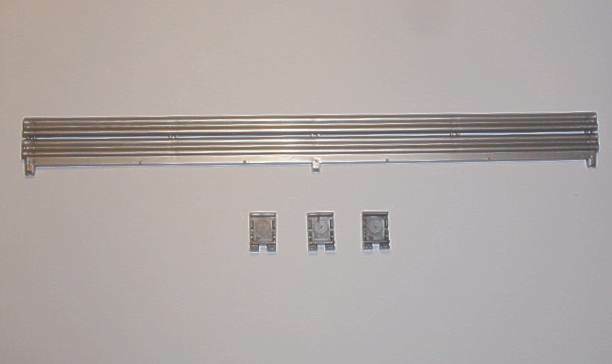 If you are not sure if this Scalextric Sport track standard straight barrier and clips are for your track layout then please contact us we can help you.